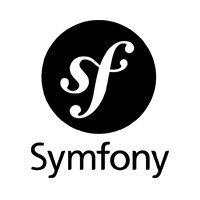 Symfony is a rich open source platform used for the development of various web applications quickly and efficiently. Due to the number of innovative technologies offered by the framework it is preferred for rather complicated solutions that are easily and quickly realized with its help. No wonder so many companies have appreciated its functionality and offer Symfony outstaffing services. Web Peppers is also proud of its expertise Symfony developers, whose projects deserve to receive only the best possible feedbacks. Their highly professional level allowed our company to offer Symfony outstaffing services for companies from different countries. We offer experienced Symfony developers for hire. No matter what obstacles or difficulties you face with web development, our professionals are able to cope with any solutions regarding Symfony framework. They know how important it is to listen to the project managers and meet their expectations. Hiring our Symfony specialists you also save on expenses and time as well as can develop your business relying on the professionals. Web Peppers offers Symfony outstaffing services for several years already and admits that each our client is pleased with the provided services. There is no need to look for alternatives as Web Peppers is the only right choice for custom Symfony solutions.